Cloud Carib Limited has announced they will be launching Carib365™ Q3 2017. Carib365™ promises to bring clients the full Microsoft Productivity Suite through a Cloud experience while providing users with some additional benefits. 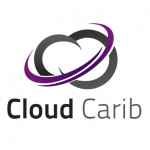 Carib365™ is hosted locally in the Bahamas and fully managed by Cloud Carib to provide users with high levels of support and security. “The launch of Carib365™ is an exciting endeavor for us, we’re looking forward to bringing these superior services to the Caribbean and Latin American region. Hosted in the Bahamas, Carib365™ offers local organizations a unique opportunity to leverage a reliable product but also receive the benefits of a world class regional provider,” says Thong Kha, Vice President of Operations. Cloud Carib offers enterprise-grade, private and hybrid cloud solutions built upon the principles of delivering quality, agility, and value. Providing clients with controlled costs, unrivaled levels of service, and unparalleled levels of data protection and privacy – when privacy matter. Cloud Carib’s services enable a true competitive advantage for each client that is unmatched in most of the world. Headquartered in the Bahamas, and offering multiple datacenter locations throughout the Caribbean (Freeport, Nassau, Panama, Barbados and Jamaica), Cloud Carib’s solution portfolio includes: IaaS, security, business continuity, productivity and mobility solutions, along with professional services and multiple VAR options. Find out how Cloud Carib will make your business more competitive today: www.cloudcarib.com.